"Very clean and close to some historical sites." Have a question for Insail Hotels Ximenkou Subway Station Guangzhou? "Positive side: the location is good, there are a lot restaurant nearby, convenient transportation." "Its a nice area to stay in with friends and family." "The hotel is located near the metro." "Great and Clean, value with what was given"
Visit the Insail Hotels Ximenkou Subway Station Guangzhou and take in all that Guangdong has to offer. The rooms here overlook the city, so you can enjoy falling asleep to the stunning, glittering city lights. 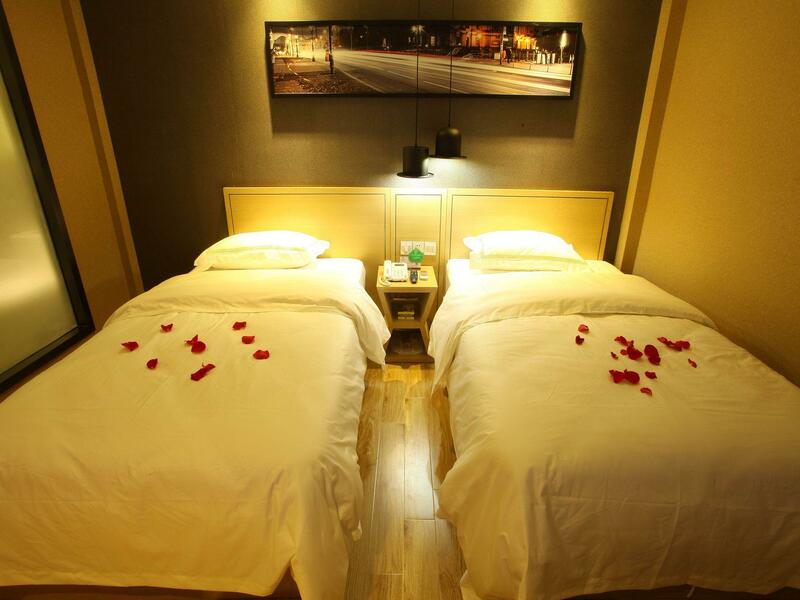 The hotel is near Bright Filial Piety Temple (Guangxiao Si), Chong Hing Square, Yuefu Plaza, Mosque Dedicated To The Prophet, and Ximen Wengcheng City Gate. It has several convenient features, such as a salon, shops, safety deposit boxes, and a smoking area. 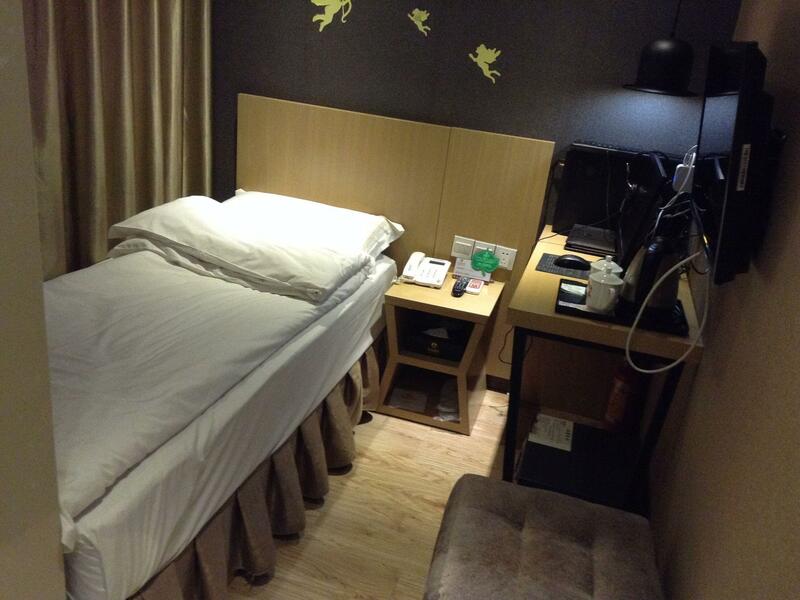 The Insail Hotels Ximenkou Subway Station Guangzhou features air conditioning, so your stay will be comfortable. It has restaurants on-site and room service, so there is a selection of dining and snacking options. Offering guided tours, it is a great place to stay to learn about the area and see everything you can while you're here. With family rooms, it has adequate space for your whole family to lounge around together. The Insail Hotels Ximenkou Subway Station Guangzhou offers a range of useful services, which include laundry services, a concierge, luggage storage, as well as dry cleaning services. There's free Wi-Fi available in all rooms, as well as Wi-Fi in common areas, so guests won't have to spend money on purchasing a local sim card. The Insail Hotels Ximenkou Subway Station Guangzhou features a front desk that's open around the clock, ensuring that there is always someone on call to help you. Check-in is offered from 12:00 AM and check-out is until 01:00 PM. The Insail Hotels Ximenkou Subway Station Guangzhou offers an express check in and check out service, enabling guests to avoid having to visit the front desk. Ximenkou Metro Station is 260 m away and Sun Yat-sen Memorial Hall Subway Station is 900 m away. The nearest airports are Guangzhou Baiyun International Airport (CAN) and Shenzhen Bao'an International Airport (SZX), which are situated 29.3 km and 78.4 km away. "The room is decent and big enough for 1-2 person." I booked two rooms and turned out that the rooms look completely different from the photos - the rooms are much older and the mattress just lays on the elevated floor, which was an issue for me with my injured knee. This hotel is situated next to a temple and our room at the 6th floor could hear the prayer and music in the evening and early in the morning, which was really awful. Will not hesitate to inform anyone to stay away from this hotel! Location is good , near to mrt station. A lot of eatery nearby . 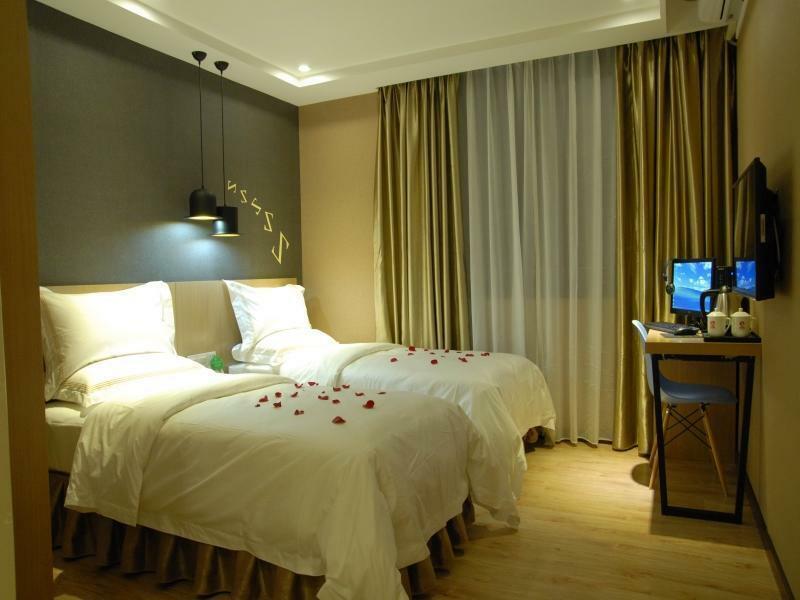 the hotel is located within walking distance from Ximenkou station, which is a station conveniently located to access to most shopping places in Guangzhou. The street that links to the hotel has a variety of food that you will not be worried of getting starved. the best thing about the hotel is the awesome street food at night. There you can enjoy a good and cheap meal after a day of shopping in Guangzhou. Its convenient location certainly make the hotel value for money. The stay was pleasant and the hotel is easy to located from the Metro station. The room allocated to us was clean and cozy, with sufficent supply of amenties. Night life nearby was vibrant with busking street food and you will not go hungry in the middle of the night. As the hotel is located at the central area of Guangzhou; it is easy for us to travel to different destination from there. The rooms here are clean and very comfortable, with decent bedding and a good shower. Location is ok, it's very close to a metro, so easy to get around. The housekeeping staff here are lovely and very helpful, even though they don't speak any English. It's a shame the same can't be said for the assistant manager, whose attitude was dismissive and very rude. He was very good at ignoring us and texting when we were asking questions. Stayed here for total 6 night ~ overall was very satisfied with the price i pay for . 1st 2 night we booked for budget boutique room which was very small , then when we return from hongkong , we booked for Deluxe room which just few dollar difference but alot bigger and comfort . The best of this hotel is they provide inroom Desktop PC , daily housekeeping to keep the room clean and fresh , in china hardly to get new clean room at this price,important is the toilet is clean too . more else is very convenience ,7-11 just few step away ,there is few shopping centre accross the road , MTR just 5-8minutes walk , many attraction is nearby the only downside is next to temple and theres a school behind this hotel .but not big deal and we leave our room early . hotel is ok. price is quite a bit steep BUT it will be since we went there during EXPO period (usually price of most hotels are 2x to 4x the normal rates). hotel room is really small but bearable. no facilities such as restaurants or creature comforts whatsoever. just a no frills hotel which offers accommodation. PERIOD. not much restaurants around which are 'tourist / foreigner' friendly. the metro is around 5 mins walk so that is not so bad. overall, i'd say so-so for the price (considering other properties during the EXPO period). Overall are satisfying, it's the manner of other customer even we given a non smoking room, we still get the smell sip through the door cause by the smoker do it at the corridor. The hotel management should control the smoking regulation in the building. Good location and near metro system, although room is little small. The hotel is located near the metro. The room is nice and clean. Overall is wonderful. Near to metro station, walk about 5-8 minutes. Clean room. not all the staff can speak english but they will try communicate with you. Also near to guangzhou attractions using the metro.